If your startup will earn online revenue this year, there are four essential pieces of the digital puzzle to put in place before you start selling online. In fact, implementing these four technologies from providers of online merchant services and other parties in the IT arena can help you make your first web-based sale. If developing a custom website from scratch isn’t in your budget, implementing an eCommerce platform from a provider of user-friendly online stores is a great alternative. The monthly payment plans are highly affordable, and intuitive design features make it easy to implement the page format and images of your choice. If you decide to use a web-based eCommerce platform, be sure it accepts your preferred payment gateway. Some platforms are highly limited in the merchant services processors they work with. Remember when hackers stole the personal information of nearly 70 million Target customers in 2013? That’s the type of data breach that Payment Card Industry Data Security Standard (PCI DSS) compliance is designed to help prevent. A PCI DSS compliant payment gateway makes your customers’ digital data hard to pirate, even for the most intrepid hackers. Your provider of online merchant services will ensure your gateway is PCI DSS compliant, but handling outstanding compliance issues on your end will be up to you. Achieving compliance can be a rigorous process, but it’s worth the effort. Just ask Target; according to CNN Money, the retail giant shelled out $39 million to settle its case with customers whose information was stolen in 2013. You’ll need the assistance of merchant services processors to accept payments online, but do you really need a gateway that can be used in all countries for all currencies? Maybe not now, but when your startup reaches profitability, and you’re ready to reach a larger audience, you’ll be glad you went with a provider of online merchant services that offers global gateways. Instead of searching for a new provider as your business evolves, you can simply start using the untapped capacity of your global payment gateway. Formerly known as Secure Sockets Layer (SSL) technology, Transport Layer Security (TLS) is a cryptographic protocol for protecting data that travels from your customers’ web browsers to your eCommerce site. This means anyone hoping to steal the data will have to take the arduous step of decrypting it. Data thieves operating online are like thieves who do their dirty work offline: They prefer the path of least resistance. For a digital data thief, that path is never an eCommerce website that has TLS technology. Shopping for Online Merchant Services? 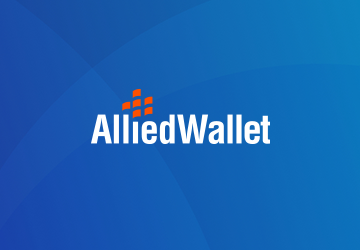 If implementing merchant services will be a part of your startup’s success, Allied Wallet can help by providing a PCI DSS compliant gateway that accepts all official currencies in all countries. To get started on selecting the right gateway for how your business operates, call us today in the U.S. at +1-888-255-1137, call us in the U.K. at +44 203 318 8334, or use our contact form. Your new payment gateway is minutes away!